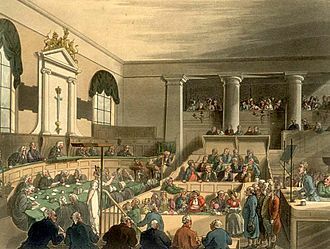 The Real Audiencia of Santiago de Guatemala (Spanish: Audiencia y Cancillería Real de Santiago de Guatemala), simply known as the Audiencia of Guatemala or the Audiencia of Los Confines, was a superior court in area of the New World empire of Spain, known as the Kingdom of Guatemala. This area included the current territories of Guatemala, Belize, El Salvador, Honduras, Nicaragua, Costa Rica and the Mexican state of Chiapas. The Audiencia's presiding officer, the president, was the head of the government of the area. 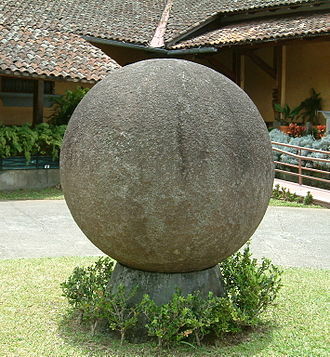 The Audiencia was initially created by decrees of November 20, 1542 and September 13, 1543, and had its seat in Antigua Guatemala (Santiago de Guatemala). 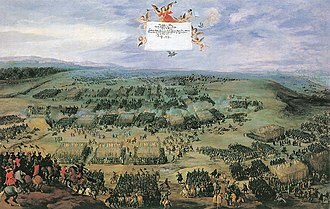 The colonization of the area that became the future kingdom began in 1524. 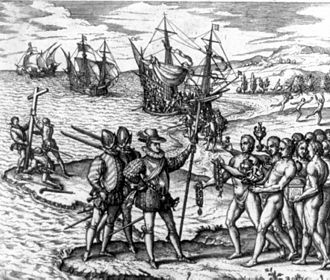 In the north, the brothers Gonzalo and Pedro de Alvarado, Hernán Cortés and others headed various expeditions into Guatemala and Honduras. 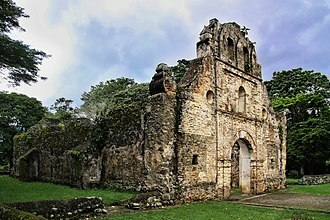 In the south Francisco Hernández de Córdoba, acting under the auspices of Pedrarias Dávila in Panama, moved into what is today Nicaragua. 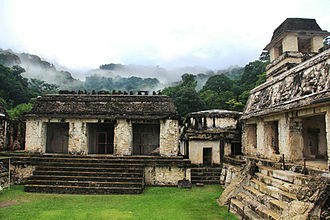 The capital of Guatemala moved several times in the first decade of its existence. In 1540 of the city of Santiago de los Caballeros de Guatemala was founded after Tecpán Guatemala was abandoned due to its vulnerability to attack. However, the second settlement was destroyed in 1542 by a flood, and the new capital of Antigua Guatemala, was founded to replace the old capital. Although the city of Antigua Guatemala became one of the richest of the New World capitals in the subsequent centuries, this city was in turn ordered abandoned in 1776, after a series of earthquakes destroyed it. The third capital was the modern-day Guatemala City. In 1543 establishment of the Audiencia defined the territory of the kingdom, which included most of Central America. 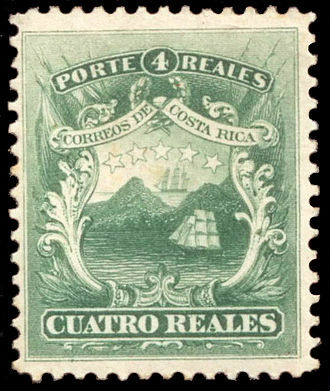 It was the first institution to define Central America (with the exception of Panama) as a region within the Spanish Empire. 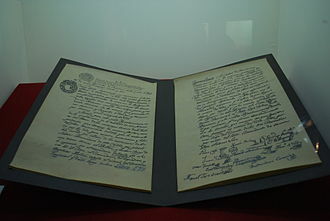 An Audiencia of Los Confines of Guatemala and Nicaragua was created by a royal decree of November 20, 1542, which also established the Audiencia of Lima. The new audiencias divided the territory of the abolished Royal Audiencia of Panama. The governorates of Guatemala, Honduras, Chiapas and Nicaragua, which existed at the time of the decree, were abolished, but some were later restored and new ones created: Honduras in 1552, Soconusco in 1561, Nicaragua in 1565 and Costa Rica in 1574. The September 13, 1543, decree ordered that the new Audiencia move to Valladolid de Comayagua and that the province of Yucatán be added to its district, but this was not accomplished until 1550. 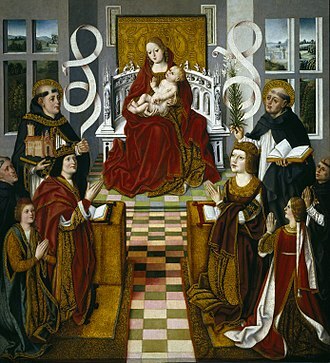 The Audiencia provisionally moved to Gracias a Dios on May 16, 1544, until the royal decrees of October 25, 1548 and June 1, 1549, ordered its return to Santiago de Guatemala. 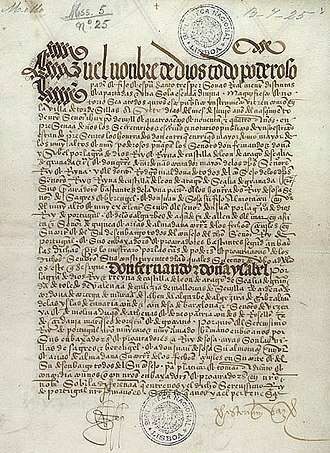 A royal decree of July 7, 1550, reiterated that Yucatán be separated from the Audiencia of Mexico and incorporated into the one of Guatemala. 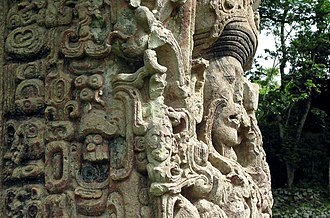 Finally a decree of January 20, 1553, transferred the province of Soconusco to the Guatemala Audiencia. 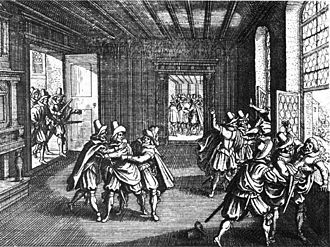 On September 8, 1563, Philip II decreed that the Audiencia move to Panama, abolishing a separate audiencia for Guatemala. The borders of the new Panama Audiencia were in east, the coast from the Darién River to the Ulúa River; and in the west, the coast from Buenaventura to the Gulf of Fonseca. The rest of the territories of the former Audiencia of Guatemala were transferred to the Audiencia of Mexico. On January 15, 1568, a decree reestablished the Audiencia of Guatemala with the same jurisdiction as in 1563, but without Yucatán, which became a permanent territory of the Audiencia of Mexico until the beginning of the 19th century. A royal decree of January 25, 1569, transferred once again the governorate of Soconusco from the Audiencia of Mexico to the one of Guatemala. Law VI (Audiencia y Chancillería Real de Santiago de Guatemala en la Nueva España) of Title XV (De las Audiencias y Chancillerias Reales de las Indias) of Book II of the Recopilación de Leyes de las Indias of 1680—which compiles the decrees of September 13, 1543; August 6, 1556; September 16, 1560; May 31 and June 18, 1568; November 10, 1593; and August 7, 1596—describes the borders, make up and functions of the Audiencia. 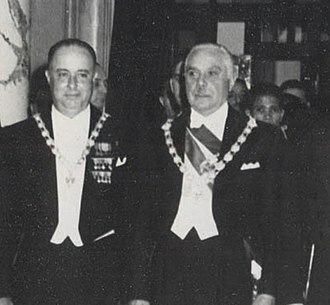 In the City of Santiago de los Caballeros of the Province of Guatemala shall reside another Royal Audiencia and Chancery of ours, with a president, governor and captain general; five oidores, who shall also be judges of criminal cases [alcaldes del crimen]; a crown attorney [fiscal]; a bailiff [alguacil mayor]; a lieutenant of the Gran Chancellor; and the other necessary ministers and officials, and which shall have for district the said province of Guatemala; and those of Nicaragua, Chiapas, Higueras, Cabo de Honduras, Verapaz and Soconusco with the Islas de la Costa; bordering its district in the east with the Audiencia of Tierrafirme, in the west with the one of New Galicia, and in the north with it and the North Sea, and in the south with the South Sea. And we order that the governor and captain general of said provinces and the president of the Royal Audiencia of these, have, use and exercise by himself the government of that land and all its district, in the same manner as does our viceroy of New Spain and determine the repartimientos of Indians and appoint other offices, as said Royal Audiencia used to do, and that the oidores do not interfere with these matters, nor that said president interfere in matters of justice and that he sign with the oidores that which they sentence and decree. 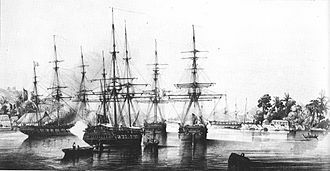 As part of the Bourbon Reforms in 1786 the crown established a series of intendancies in the area, which replaced most of the older corregimientos. The intendants were granted broad fiscal powers and were charged with promoting the local economy. The new intendancies were San Salvador (El Salvador), Ciudad Real (Chiapas), Comayagua (Honduras), and León (Nicaragua). The Audiencia president and governor-captain general of Guatemala became the superintendente general of the territory and functioned as de facto intendant of Guatemala proper. The agricultural, southern region of Costa Rica remained under a civil and military governor with fiscal oversight of only military expenses; the expenses of the civil government were handled by the intendant of León. These intendancies helped shape local political identity and provided the basis of the future nations of Central America. Comayagua is a city in Honduras, some 50 miles northwest of Tegucigalpa on the highway to San Pedro Sula at an elevation of 1,949 feet above sea level. In 2015 the estimated population was 152,051 people and it is the capital of the Comayagua department of Honduras. The city is noted for its wealth of Spanish Colonial architecture, the central square has a cathedral with the oldest clock in the Americas. 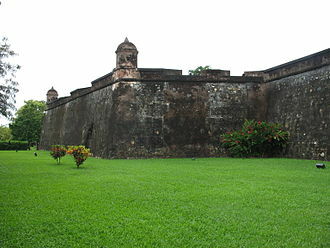 Comayagua was founded with the name Santa María de la Nueva Valladolid by Conquistador Alonso de Cáceres under orders from Francisco de Montejo, from 1540 on Comayagua was the capital of the Honduras Province of the Captaincy General of Guatemala. The Cathedral of the Immaculate Conception, on the square, was begun in 1563. 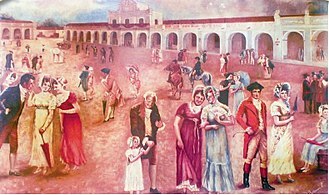 In 1786 the Spanish Crown created the Intendencia of Comayagua, with Comayagua as its capital, from 1812 to 1814 it was the capital of the Province of Comayagua when it again reverted to being the capital of the Intendencia of Comayagua until 1820. In 1820, Honduras was again called the Province of Comayagua or Honduras, after independence from the Spanish it was the capital of the state of Honduras in the Federal Republic of Central America. After Honduras became an independent republic, the capital alternated between Comayagua and Tegucigalpa before being established at Tegucigalpa in 1880. 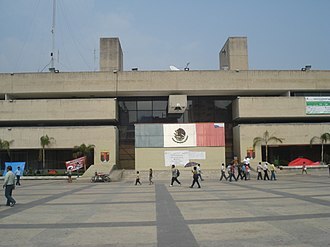 In February 2012 a fire killed more than 350 people at Comayagua prison, right in front of the plaza is located City Hall, which has been reconstructed a couple of times. The building is of neoclassic style and was built during the 16th century, the Cathedral of Comayagua was built during the colonial era in Honduras. It was inaugurated on 8 December 1711, Soto Cano Air Base is a Honduran military installation located less than 10 miles from Comayagua. The two miles wide and six miles long airbase is home of the Honduran Air Force Academy, United States maintains Joint Task Force Bravo on Soto Cano Air Base with approximately 550 US military personnel and more than 650 US and Honduran civilians. Comayagua is headquarters of Club Hispano, of the Honduran National Soccer League, the club obtained its first promotion to the National League in 2004–2005. The Laws of the Indies are the entire body of laws issued by the Spanish Crown for the American and Philippine possessions of its empire. They regulated social and economic life in these areas and this became considered the classic collection of the laws, although laws superseded parts of it, and other compilations were issued. 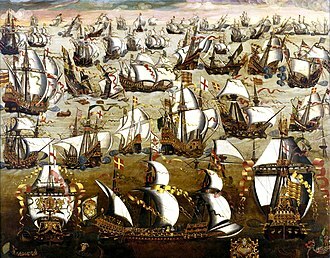 The Spanish Viceroyalties in the Americas sometimes generated conflicts between peoples and the Spanish colonists. 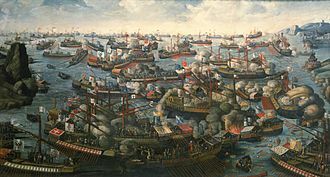 The Spanish attempted to control the Natives to force their labor, at the same time, conflicts on policy and implementation occurred between the encomenderos and the Crown. 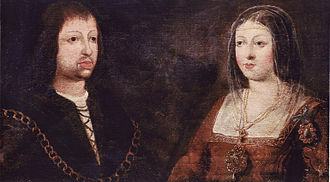 The Laws of Burgos, signed by King Ferdinand II of Aragon, the issue was revisited after Bartolomé de las Casas brought attention to abuses being carried out by encomenderos. 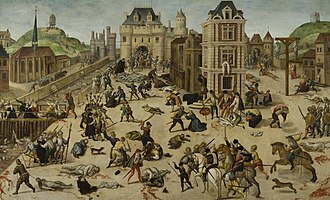 The Laws of Burgos were revised by the New Laws of 1542 issued by Charles I and quickly revised again in 1552 and these were followed by the Ordinances Concerning Discoveries in 1573, which forbade any unauthorized operations against independent Native Americans. 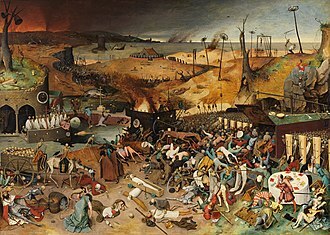 The Valladolid debate was the first moral debate in European history to discuss the rights and it consisted of a number of opposing views about the way natives were to be integrated into colonial life, their conversion to Christianity and their rights and obligations. 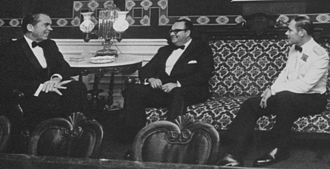 According to the French historian Jean Dumont The Valladolid debate was a turning point in world history “In that moment in Spain appeared the dawn of the human rights”. 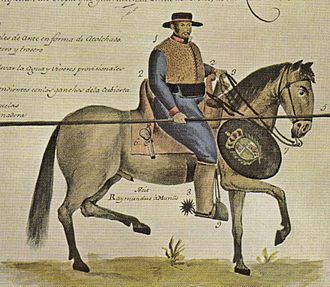 To guide and regularize the establishment of presidios and pueblos and this comprehensive guide was composed of 148 ordinances to aid colonists in locating and populating settlements. They codified the city planning process and represented some of the first attempts at a general plan, signed in 1573, the Laws of the Indies are considered the first wide-ranging guidelines towards design and development of communities. These laws were influenced by Vitruvius Ten Books of Architecture. In Book IV of the 1680 compilation of The Laws of the Indies, plans were set forth in detail on every facet of creating a community, including town planning. Antigua Guatemala is a city in the central highlands of Guatemala famous for its well-preserved Spanish Baroque-influenced architecture as well as a number of ruins of colonial churches. It served as the capital of the Kingdom of Guatemala and it has been designated a UNESCO World Heritage Site. Antigua Guatemala serves as the seat for the surrounding municipality of the same name. It serves as the capital of Sacatepéquez Department. The city had a population of some 60,000 in the 1770s. Despite significant population growth in the late 20th century, the city had reached half that number by the 1990s. According to the 2007 census, the city has some 34,685 inhabitants, Antigua Guatemala means Ancient Guatemala and was the third capital of Guatemala. Naturally, St. James became the saint of the city. 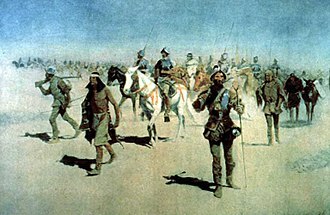 After several Kaqchikel uprisings, the capital was moved to a suitable site in the Valley of Almolonga on November 22,1527. This new city was located on the site of present-day San Miguel Escobar and this city was destroyed on September 11,1541 by a devastating lahar from the Volcán de Agua. 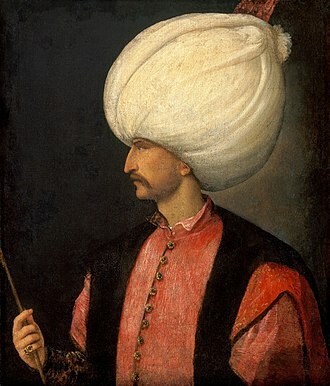 As a result, the authorities decided to move the capital once more. So, on March 10,1543 the Spanish conquistadors founded present-day Antigua, during its development and splendor, it was known as one of the three most beautiful cities of the Spanish Indies. The city was out in a square pattern, with streets running north to south and from east to west. Both church and government buildings were designated important places around the central plaza, the original building was small and paneled with portal, tile roof and adobe walls. The city is surrounded by three enormous volcanoes and mountains and hills and this territory was called Valley of Guatemala and had 73 villages, two towns and the city of Santiago de los Caballeros. 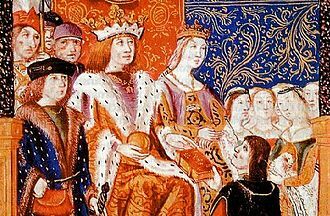 Due to constant problems between the conquerors and the representatives of the crown sent by the king of Spain, the Audiencia de los Confines was abolished in 1565. In 1570 the hearing was restored, this time independent of the viceroy of Mexico and this primitive chapel was destroyed in 1575 by an earthquake and during the next ten years collections were made to build the new complex, two blocks from the previous one. Guatemala City, locally known as Guatemala or Guate, is the capital and largest city of the Republic of Guatemala, and the most populous in Central America. The city is located in the part of the country. In 2009, it had a population of 1,075,000, Guatemala City is the capital of the local Municipality of Guatemala and of the Guatemala Department. Human settlement on the present site of Guatemala City began with the Maya who built a city at Kaminaljuyu, the Spanish colonists established a small town, which was made a capital city in 1775. At this period the Central Square with the Cathedral and Royal Palace were constructed, after Central American independence from Spain the city became the capital of the United Provinces of Central America in 1821. The 19th century saw the construction of the monumental Carrera Theater in the 1850s, at this time the city was expanding around the 30 de junio Boulevard and elsewhere, displacing native settlements from the ancient site. Earthquakes in 1917–1918 destroyed many historic structures, during the Guatemalan Civil War, terror attacks beginning with the burning of the Spanish Embassy in 1980 led to severe destruction and loss of life in the city. In May 2010 two disasters struck, the eruption of the Pacaya volcano, and two days Tropical Storm Agatha, Guatemala City serves as the economic and cultural epicenter of the nation of Guatemala. Guatemala City is subdivided into 22 zones designed by the engineering of Raúl Aguilar Batres, each one with its own streets and avenues. Zones are numbered 1-25 with Zones 20,22 and 23 not existing as they would have fallen in two other municipalities territory. Addresses are assigned according to the street or avenue number, followed by a dash, the zones are assigned in a spiral form starting in downtown Guatemala city. Efforts to revitalize this important part of the city have been undertaken by the government and have been very successful thus far. This plan denominated POT aims to allow taller building structures of mixed uses to be next to large arterial roads and gradually decline in height. It is worth mentioning, that due to the Airport being in the city, to the south and this limits the maximum height for a building, at 60 metres in Zone 10, up to 95 metres in Zone 1. El Salvador, officially the Republic of El Salvador, is the smallest and the most densely populated country in Central America. El Salvadors capital and largest city is San Salvador, as of 2015, the country had a population of approximately 6.38 million, consisting largely of Mestizos of European and Indigenous American descent. 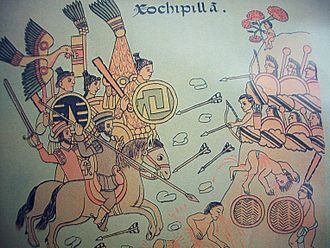 El Salvador was for centuries inhabited by several Mesoamerican nations, especially the Cuzcatlecs, as well as the Lenca, in the early 16th century, the Spanish Empire conquered the territory, incorporating it into the Viceroyalty of New Spain ruled from Mexico City. 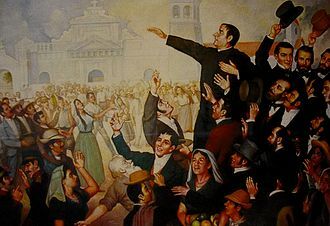 In 1821, the country achieved independence from Spain as part of the First Mexican Empire, from the late 19th to the mid-20th century, El Salvador endured chronic political and economic instability characterized by coups, and a succession of authoritarian rulers. 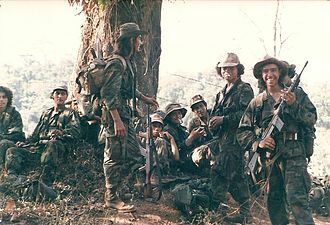 The conflict ended with a settlement that established a multiparty constitutional republic. El Salvador has since reduced its dependence on coffee and embarked on diversifying the economy by opening up trade and financial links, the colón, the official currency of El Salvador since 1892, was replaced by the U. S. dollar in 2001. 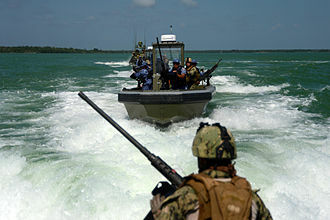 As of 2010, El Salvador ranks 12th among Latin American countries in terms of the Human Development Index, the country continues to struggle with high rates of poverty and crime. 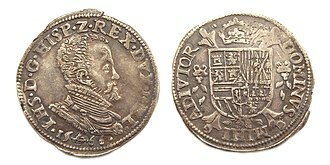 Conquistador Pedro de Alvarado named the new province for Jesus Christ – El Salvador, the full name was Provincia De Nuestro Señor Jesus Cristo, El Salvador Del Mundo, which was subsequently abbreviated to El Salvador. 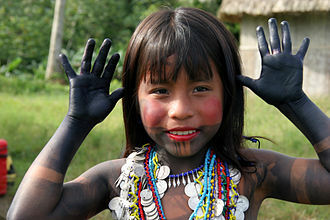 Tomayate is a site located on the banks of the river of the same name in the municipality of Apopa. The site has produced abundant Salvadoran megafauna fossils belonging to the Pleistocene epoch, at the same time, it is considered the richest vertebrate paleontological site in Central America and one of the largest accumulations of proboscideans in the Americas. 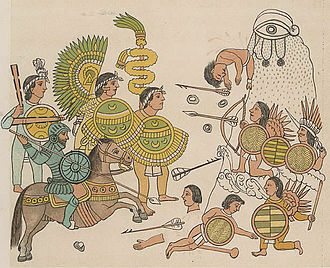 Sophisticated civilization in El Salvador dates to its settlement by the indigenous Lenca people, theirs was the first, the Lenca were succeeded by the Olmecs, who eventually disappeared, leaving their monumental architecture in the form of the pyramids still extant in western El Salvador. Façade of the former El Carmen church in 2009. 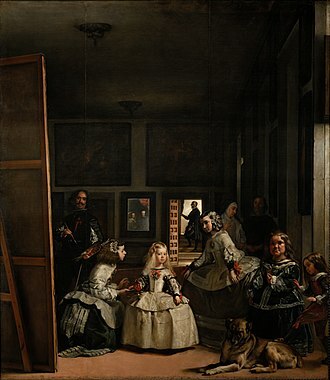 Pedro de Alvarado in a contemporaneous rendition. 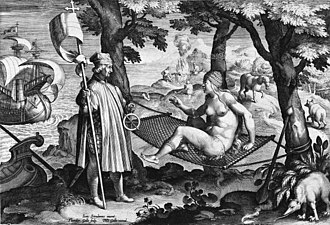 Hernán Cortés led the expedition against the Aztecs. The remains of the "Castillo de Alvarado", Chamela, Jalisco. 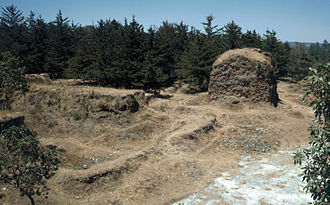 Q'umarkaj was the capital of the K'iche' kingdom until it was burnt by Alvarado's forces. Carlos Miranda Stadium: During construction, 2005.